Day by day, teleworking has been rapidly gaining popularity. Since human and environmental factors (like snow flurry, black ice, flu, or transport workers strike) can cause your employees stay home, remote work can become a lifeline of your business. By the way, as YouGov puts it, telecommuters can sometimes be even more productive than ordinary office workers. Besides, according to Global Workplace Analytics, 20-25% of the US staffers telecommute at some frequency and 50% of all respondents work remotely at least partially anyway. Working at home and wearing their favorite pajamas or drinking coffee from their favorite cup will usually make your staffers feel comfortable and safe. Unfortunately, sometimes these feelings also make them let their guard down and forget about basic precautionary measures while working with corporate data. Unfortunately, it might adversely affect the safety of your company’s sensitive information. 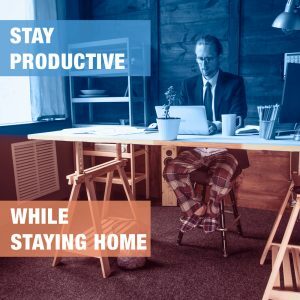 And yet, allowing your staff to telework, you help them to stay productive. So, what are the pitfalls of remote working and how to balance them with all of the benefits? Let’s learn together. Before moving to the advice section, we should review the main mistakes that teleworkers make. For this part, we used the statistics from the Cisco research. Discussing company’s private information in public. Eavesdroppers and shoulder surfers are what makes this mistake a huge issue. Statistics say that 68% of people don’t think about what strangers hear or see on their device screen when outside of the office. Just imagine how much sensitive data one can hear from a single public phone conversation! Mixing personal and corporate data. Another common issue is transferring files to personal devices or performing personal communication using a work device. 13% of remote workers say that they can’t access their corporate network and, as a result, use their personal emails for work. Which means that if someone breaks into personal accounts of your workers, hackers will get the corporate data, too. Using insecure connection. Again, according to Cisco, more than 75% of telecommuters don’t use any privacy guard apps when working in public places. In such countries as China, Brazil, and India this number is even higher. 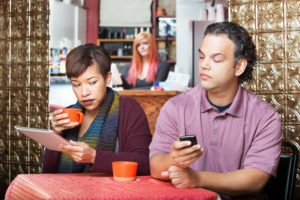 Everyone knows about the risks you may face while connecting to public WiFi, yet still a lot of remote workers ignore them. Create a remote working policy. Sometimes, a simple list of rules can go the distance and prevent unacceptable situations. Your staff has to understand the serious impact of their actions. For example, corporate data should be on the corporate device, private communication – on their personal device. Create cloud-based storages. A huge variety of cloud services allows your company to choose the one most convenient and suitable for your business. The key point is that cloud storages usually offer high levels of encryption and so you kill two birds with one stone. Your teleworkers may access needed information on the go and all of your corporate data gets protected. Use a virtual private network for business. With an app like Business VPN by KeepSolid, your remote workers will always have reliable, highly secure connection. You’ll get access to a convenient management portal where you can easily assign your teams to specific servers and be completely calm about the safety of your corporate data. All in all, you should organize telework in a less relaxed manner. Don’t allow your remote workers to take network security for granted. Get Business VPN by KeepSolid and keep your business data secure.